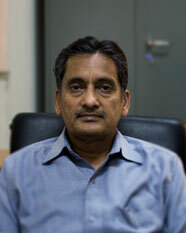 Dr. Vipul is a Professor of Finance and Accounting at Indian Institute of Management, Lucknow. He has taught Investment Management, Financial Derivatives, Strategic Financial Management, Financial Management, Financial Accounting and Management Accounting to Post Graduate Management students over the last 35 years. He has also been actively involved in training working executives in these areas. Vipul has hands-on Industry experience of six years in various middle management positions and has been a member of Accounting Standards Board of the Institute of Chartered Accountants of India. Vipul has published research papers in international refereed journals including Journal of Futures Markets, Applied Economics, Applied Financial Economics, Quarterly Review of Economics and Finance, Research in International Business and Finance, Journal of Economic Studies, Studies in Economics and Finance, and articles on issues of current interest in professional journals including the Chartered Accountant and Management Accountant. His work primarily relates to financial derivatives, portfolio management, volatility forecasting and the return generation process in the Indian Stock Markets.